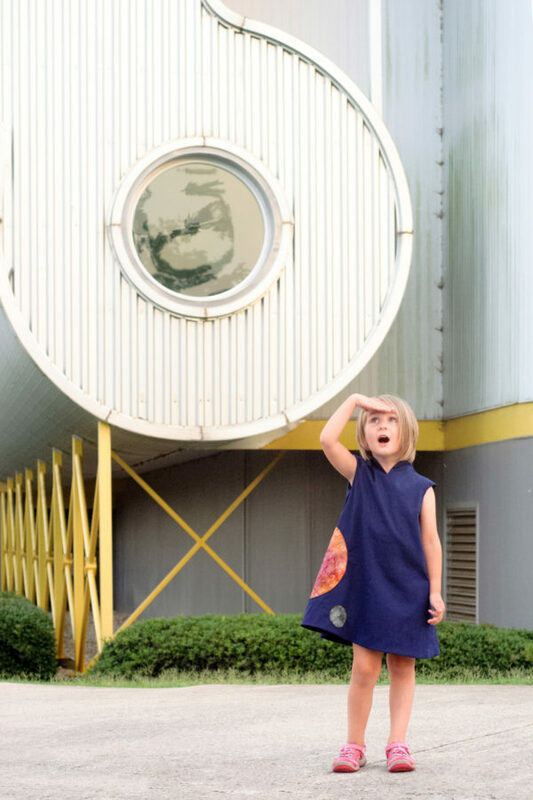 Abstracted into the simplest shapes, this space dress sewing pattern features an integrated standing collar and cap sleeves add some POP while keeping with the streamlined design. 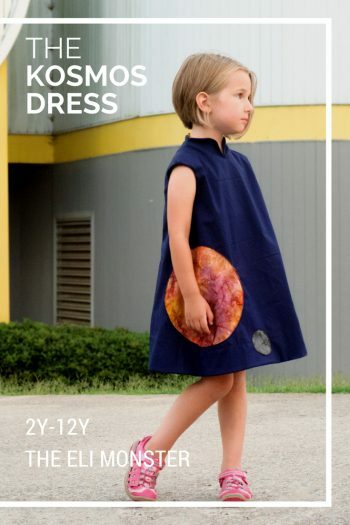 2 planets (or a planet and a moon) are uniquely added to the dress and wrap around to the back. This dress is in keeping with the space theme of our original idea with 2 planet-esque buttons in the back for additional interest. Option B eliminates the Planet circles and includes 2 circular pockets. The beauty of this dress is the wide range of options you have in circle and/or pocket placement. Overlap, intersect, eliminate-it’s all up to you. Partially lined (with an optional reversible full lining), the dress features little topstitching which is in keeping with the minimalistic design. 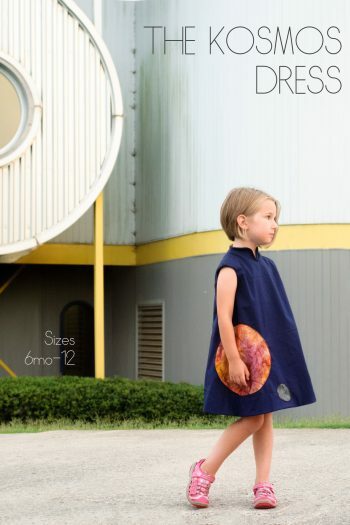 This dress is in keeping with the space theme of our original idea with 2 planet-esque buttons in the back for added interest. 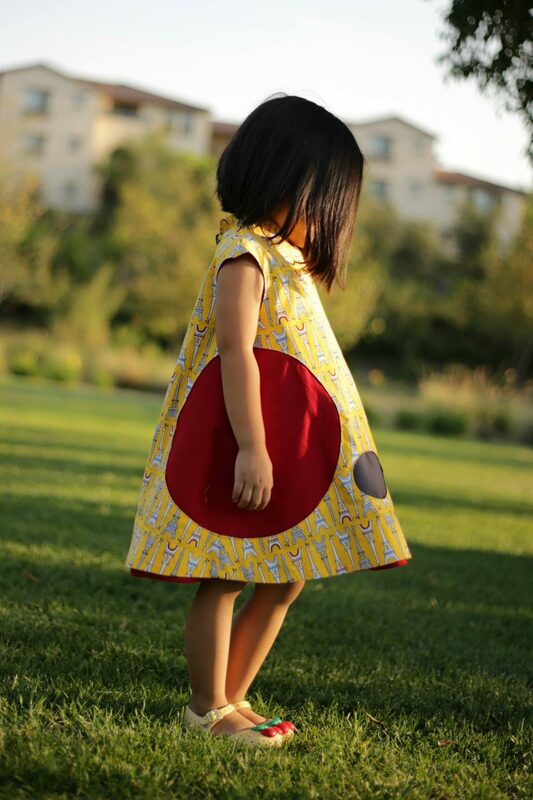 Option B eliminates the Planet circles and includes 2 circular pockets. 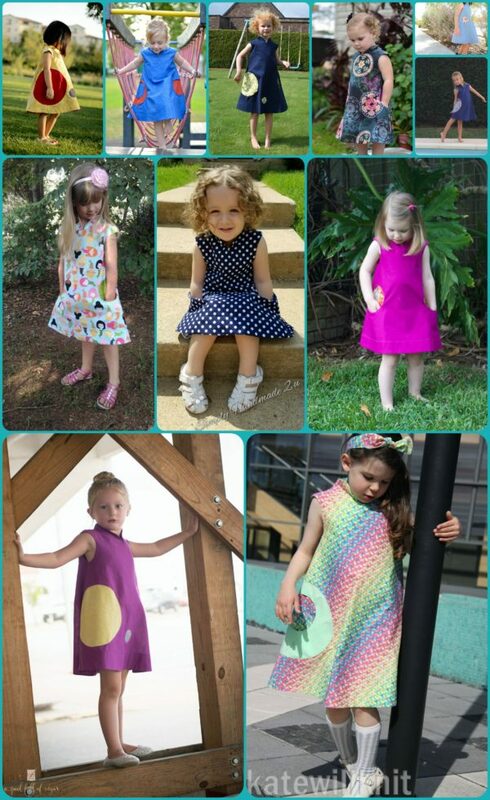 The beauty of this dress is the wide range of options you have in the circle and/or pocket placement. Overlap, intersect, eliminate-it’s all up to you.